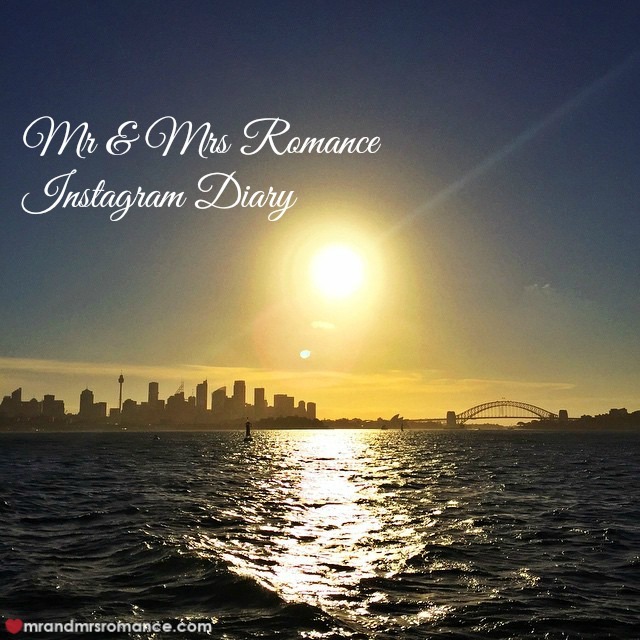 Mrs Romance seems to be everywhere this week. She’s so busy, it’s making me feel like I never leave the house! Here she’s making the most of a ferry ride to Manly to catch up with friends, but this isn’t her only trip planned for the week, oh no. She’s omnipresent in Sydney this week. In fact if you’re in Sydney you’ll probably bump into her! As for me, I’m trying to stay out of trouble as much as possible – let’s see how that turns out, shall we? Mrs Romance is spending the day with her mum and some old family friends today. 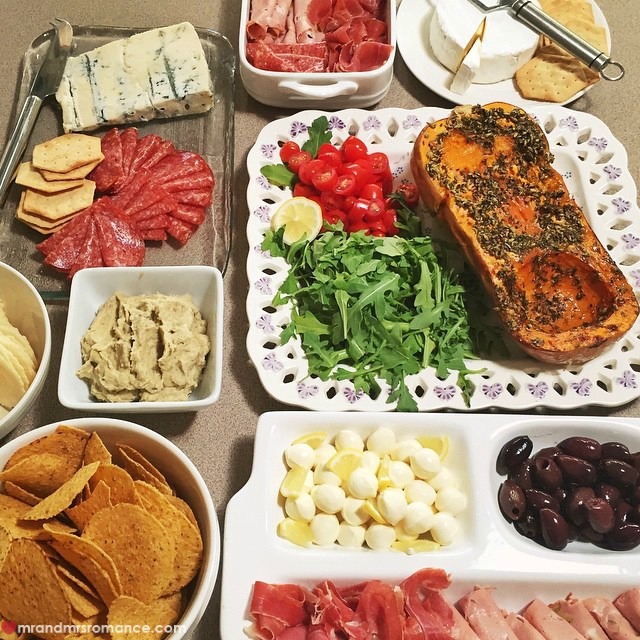 From time to time, one of who we affectionately refer to as The Italian Ladies hosts the others for lunch. It seems to be a good excuse to get together and have a bit of a natter without the men sticking their noses in. And quite right too. 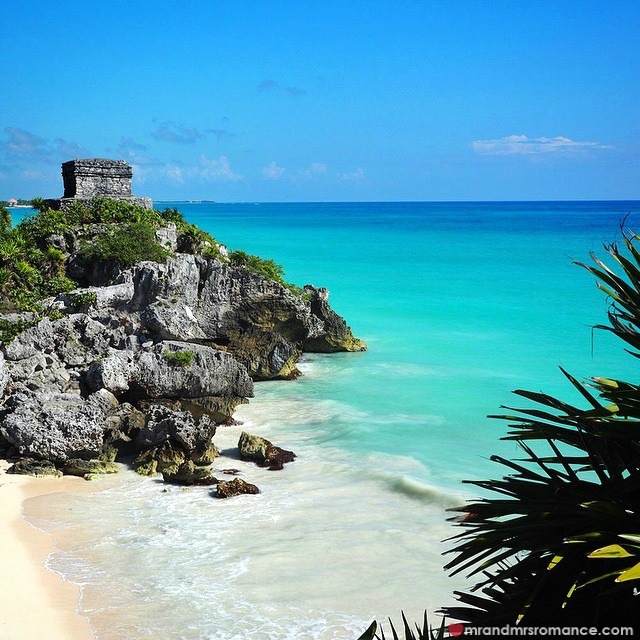 It’s amazing – over two months on and we’re still finding ourselves looking back with longing at our time in Tulum. 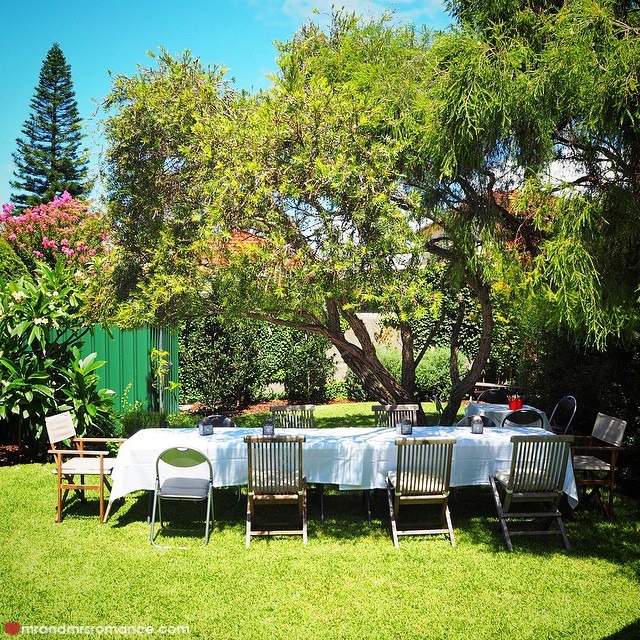 To sum things up, here’s Mrs Romance’s essay in images from our time there, and 5 of our top tips for visiting the Yucatan and Tulum. This morning we’re at the cinema to see the pre-screening of the sequel to The Best Exotic Marigold Hotel – The Second Best Exotic Marigold Hotel! 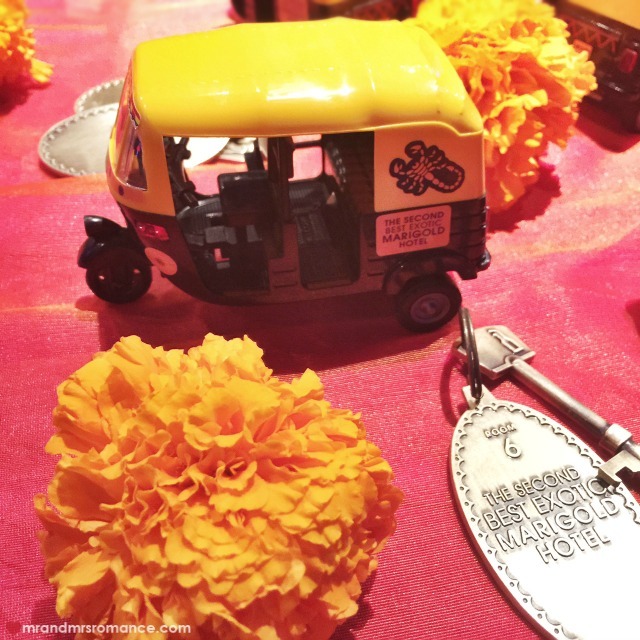 They’ve done some amazing work decorating the entrance to the screen – lots of crushed velvet and gold, and these little Indian tuk-tuks on tables with keys and marigolds everywhere. If you’re a fan of the first film, you’ll love the second. It’s the same cast (almost) with the addition of a surprisingly likeable Richard Gere. Definitely one to watch – though it looks like they’ve cleaned up India a lot since the last film! 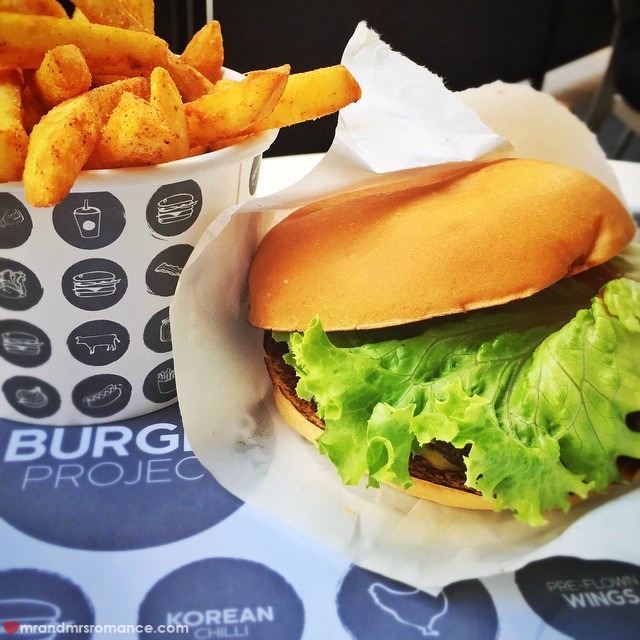 Post-movie lunch is at Neil Perry’s latest venture Burger Project. This place got slammed a bit by the critics when it first opened, but I think it’s really quite good. Perhaps there’s something in people expecting a lot from celebrity chefs. But my burger – I’m trying the bacon cheese burger – is good. The patty’s beautifully grilled and there’s plenty of relish etc. I’m a bit disappointed with the bacon, which is a bit flabby and could’ve done with a few more minutes on the grill. Mrs Romance went for the bunless American Cheeseburger, which – a bit like the Protein Style In n Out Burger, has lettuce leaves instead of bread. She’s well happy with her choice and recommends the American Cheese option. 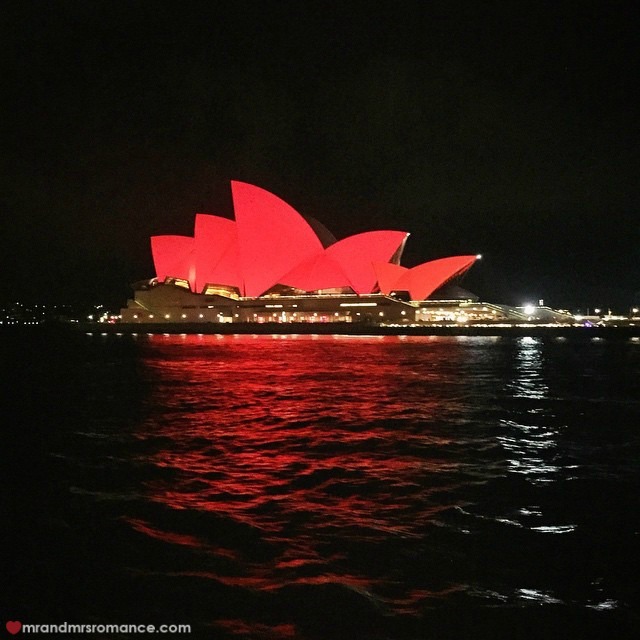 It’s Chinese New Year and the Opera House has been turned red to celebrate. It’s an amazing sight. 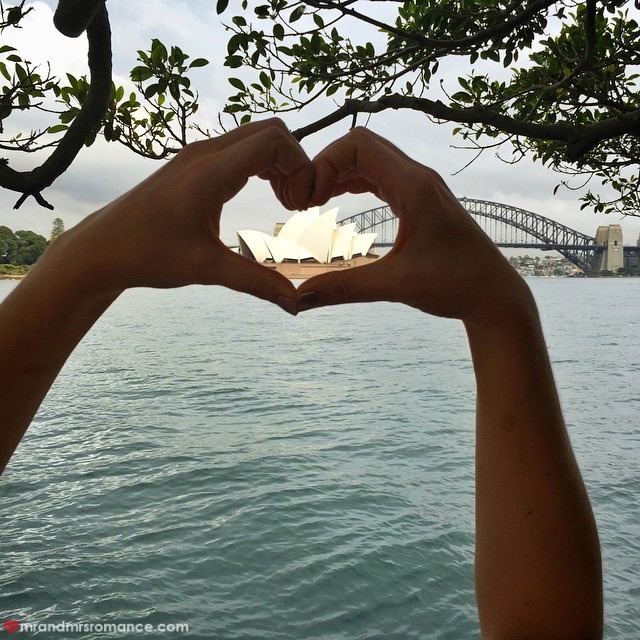 Love how Sydney gets into the swing of things like this! 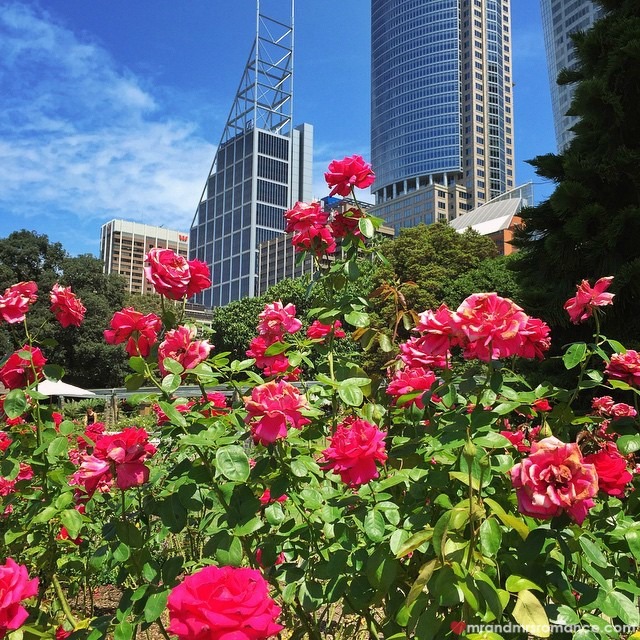 Mrs Romance is in the Botanic Gardens this lunch time. The flowers look amazing this time of year. It’s that Friday feeling! And we’re celebrating with a couple of drinks from Cuba. These two classic Cuban cocktails – the Cubata and the Cuba Libre – are delicious and refreshing – just what’s needed to combat the late-summer Sydney heat. We’re also looking at what it’s like in Cuba safety-wise. 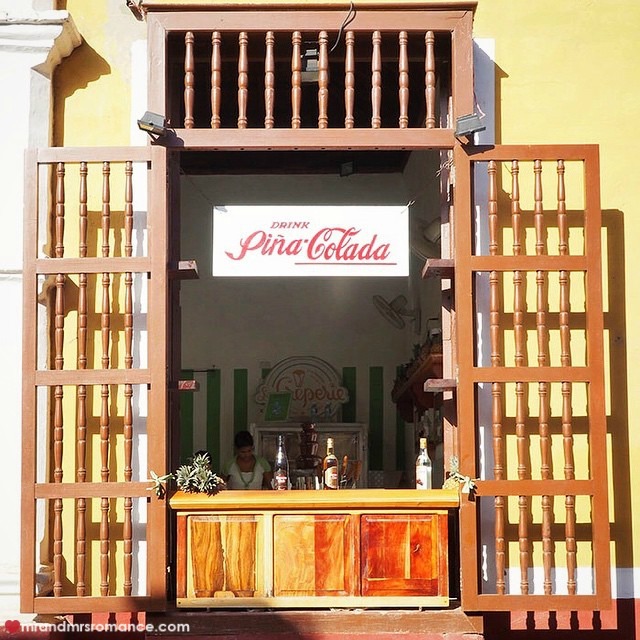 Here are 7 of the street scams we’ve either experienced or talked to our travel companions about in Cuba. Judge for yourself how safe you think Cuba really is. 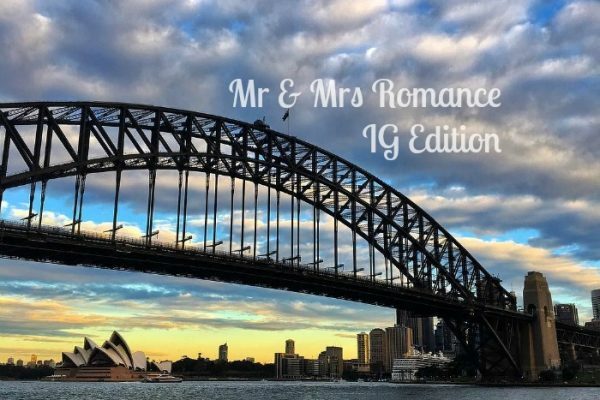 It’s time to relax with Mrs Romance. 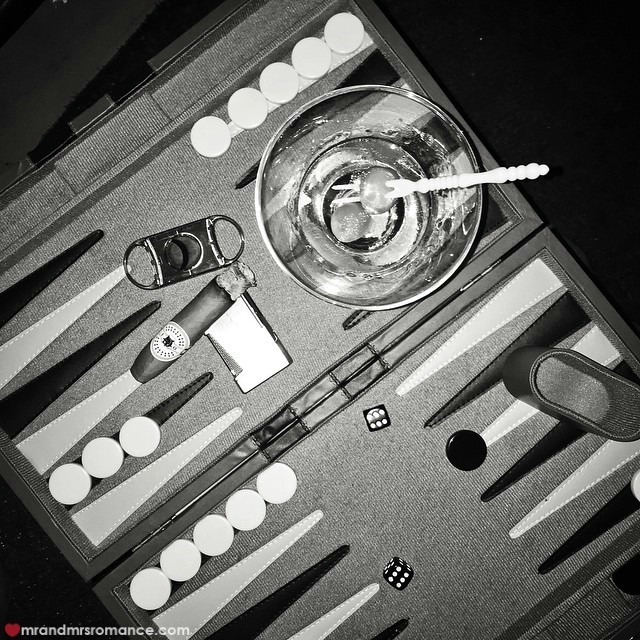 We’re all about cigars, martinis and backgammon out on our balcony tonight. Our idea of heaven! We’re out for a walk around the harbour foreshore this morning. It’s not the brightest of day on the water, but it’s still a great view. Meanwhile, up the coat in Queensland, people are having bigger weather issues than a slightly overcast sky. Level 5 Cyclone Marcia is threatening to tear down the east coast and cause terrible damage to homes and businesses. Good luck, Queensland. We’re thinking of you. 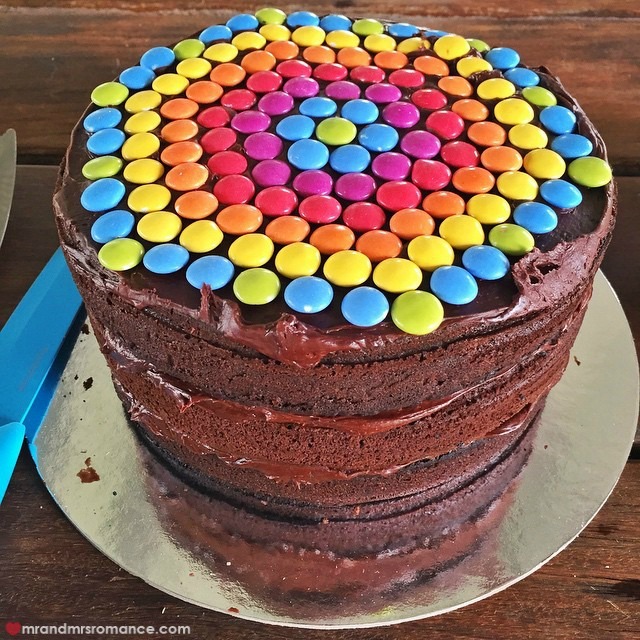 How’s this amazing cake?! Our friend Sarah-May from MakeupUtopia.com has thrown a party for her little boy’s christening. The cake’s good but Mrs Romance is so happy with her party bag she gets to take away at the end of the party. As for me, I’ve had a great time playing with the bubble maker. I don’t know what it is about blowing bubbles – it’s a bit like therapy! What a way to end the week! We’re at our beautiful friends Nick and Christina’s house for lunch. It’s not just a lunch though. We haven’t had a chance to meet their gorgeous little girl yet either – or their ‘new’ house (they moved in the middle of last year!). And even better than that, our friends Gareth and Av, Paul and Sharon, and Barbs and Glen with all their relative kiddies are here too. It’s a fantastic day, full of laughs, food, drink and the best company. We’re so lucky to have so many amazing friends. How was your weekend? Have you got anything fun planned for the week ahead? Tell us in the comments!